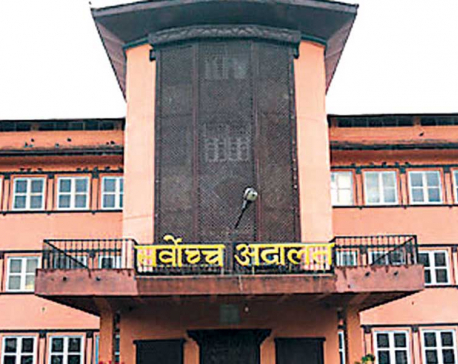 KATHMANDU, June 20: Forum for Protection of Consumer Rights Nepal has filed a writ petition at the Supreme Court, seeking an order to the government for allowing larger passenger and cargo vehicles on BP Highway. In the writ petition filed at the apex court on Monday, the forum argued that the ban on movement of larger vehicles and heavy trucks has not only affected people’s right to easy transportation but also supply of construction materials used in reconstruction. The forum has argued that the decision taken by Minister for Physical Infrastructure and Transport Raghubir Mahaseth on May 27 was based on a technical report prepared by a committee led by Senior Divisional Engineer at the Ministry of Physical Infrastructure and Transport Bishnu Om Bade and the court’s interim order against the decision came without proper evaluation of the report. Minister Mahaseth took the decision to allow movement of vehicles with maximum of 32 seats to operate from 5 am to 8 pm along the highway The ministry had also allowed the movement of cargo vehicles weighing up to 16.2 tons from 9 pm to 5 am. The government put a ban on movement of larger vehicles on the single-lane highway, which has lot of bends, following few critical accidents. “The decision to allow small-size vehicles like TATA van and Sumo, and Toyota HiAce on the highway has created a syndicate,” the formed argued in its petition. The apex court is hearing the case on Sunday. 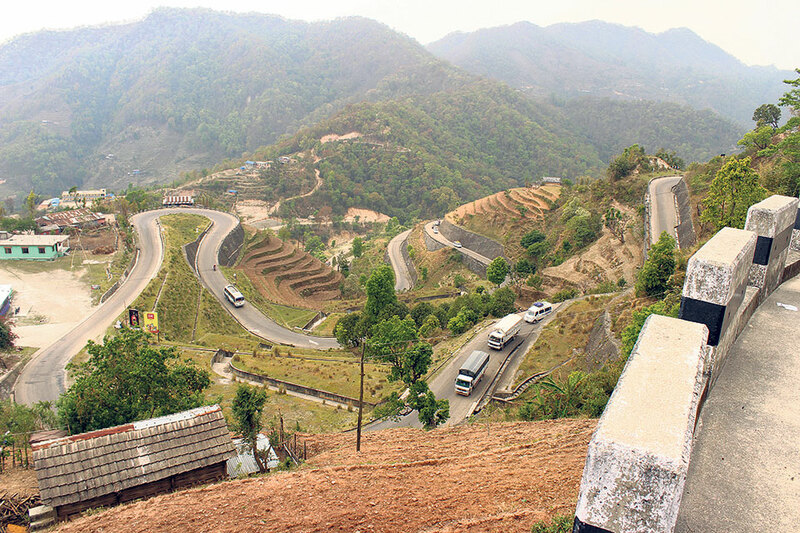 Bishnu Prasad Timilsina, general secretary of the forum, said that the technical report clearly paved way for larger vehicles to ply the highway. “We only need to make some arrangements like introducing timecard to control speeding vehicles in a 4-kilometer segment. Remaining 159 kilometers is fit for large vehicles,” added Timilsina. The decision of Minister Mahaseth to allow cargo trucks during night and passenger vehicles during daytime was itself a rational decision, Timilsina said. Construction materials and other essential supplies in Sindhuli, Ramechhap, Dolakha, Kavre, Khotang, and Okhaldhunga have become dearer as they have to be transported in smaller vehicles, Timilsina added. At present, only 18-seater passenger vehicles and cargo vehicles having capacity to carry 10 tons are allowed to ply the road which came into full-fledged operation three years ago.